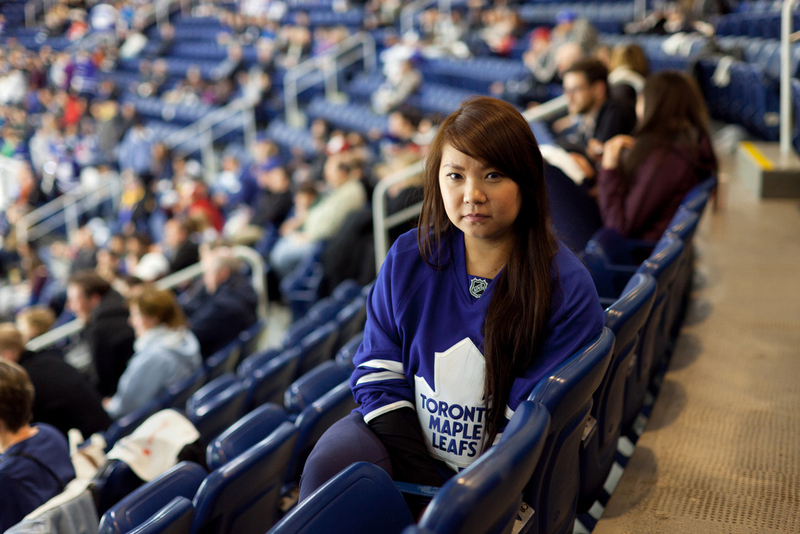 Photographing the world, one Torontonian at a time. Khydup met Julie while he was still living in India, and they were teaching each other their respective languages. Soon after, they fell in love and left for Toronto. 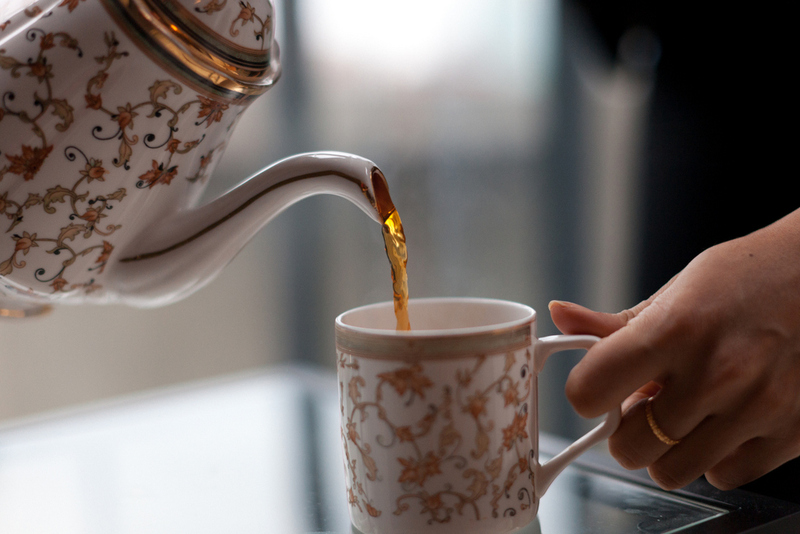 Canadian citizenship provided Khydup with something he calls a “rebirth,” with the ability to serve humanity according to his ability and potential, which was not the case in Tibet. Today they have one child together, and Khydup works in Toronto as a youth counselor. Khydup also happens to be a writer, translator and illustrator of both traditional and modern children’s stories. 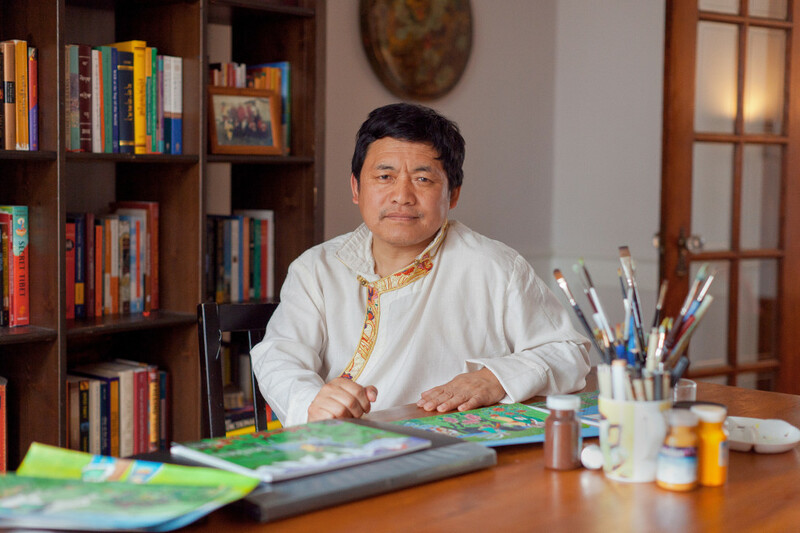 He translates children’s stories into Tibetan – and he has even sent his books to Tibet to be distributed freely to school children. He is also the creator of WildYaks, a website devoted to the preservation and promotion of the Tibetan language. With so many cultures here in Toronto, Khydup’s art has thrived here, as he has access to so many children’s stories to translate. He recently completed work on The Tortoise, the Dog and the Farmer, a children’s story from Nigeria. Khydup emphasizes how his home is where his family is – and it is sitting here at the dining room table where he paints amongst his family in his spare time. Khydup sees the Dalai Lama as a symbol of Tibetan culture – a man who embodies his peoples’ strength, happiness, peace of mind and hope. 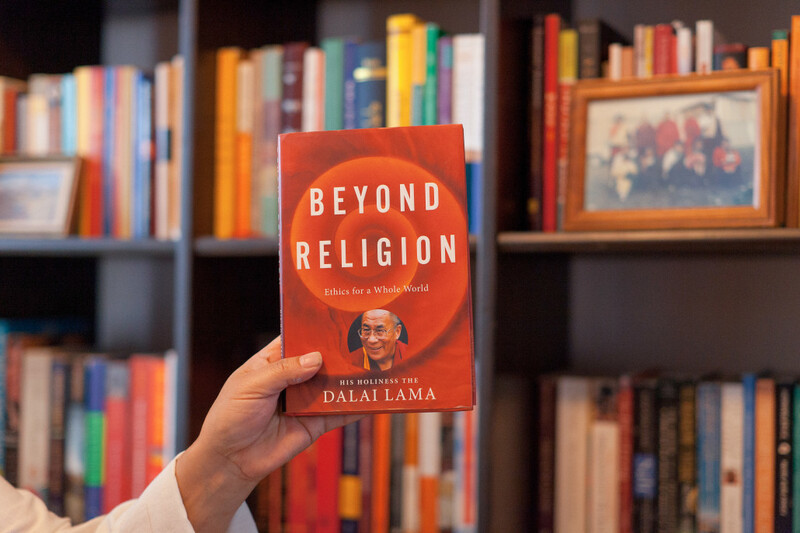 This book Beyond Religion: Ethics for a Whole World is special to Khydup because in it, His Holiness discusses how we, as a global community, can build a more compassionate and peaceful world if we recognize a universal responsibility and ethics that go beyond religion – a message that Khydup feels is the way forward for his people and the world.